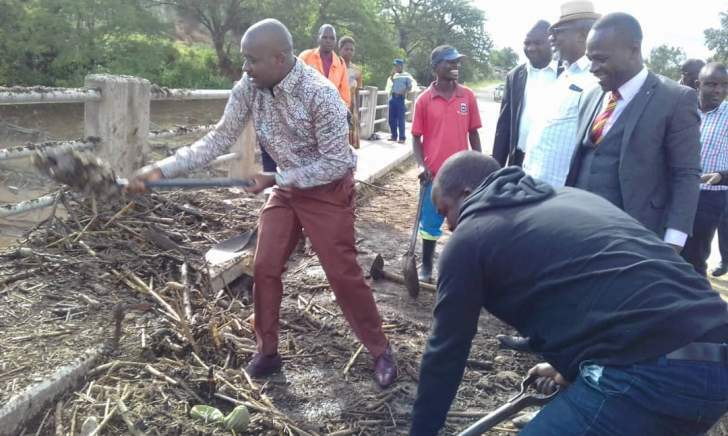 OPPOSITION leader Nelson Chamisa wants his legislators to push for capacitation and reform of the Department of Civil Protection (DCP) in the aftermath of the devastating Cyclone Idai. Currently in Chimanimani, where the opposition leader is lending weight to ongoing rescue operations by volunteers, army and government arms, Chamisa said there was need for a legislative agenda to reform institutions. "We have to ensure that our MPs push an agenda to reform the DCP into a proactive, well-resourced and funded unit than a reactive arm, that is being caught flat-footed when disaster strikes," he said. Chamisa said DCP had been caught flat-footed at the Battlefields mine disaster which left nearly 40 dead and was napping in Manicaland were school children were not evacuated ahead of the cyclone. He said there was need to ensure that the DCP had sufficient funds to procure its own reaction equipment and improve its disaster awareness and response ability. "Legislators should come to the party, one life lost is one too many, we have to ensure there are laws that ensure the DCP has its own air rescue capacity, its own vehicles not this thing that they have to wait for help from other arms of the State who are slow in reacting," he said. Build Alliance Zimbabwe, leader Noah Manyika said the lack of preparedness by DCP and government was alarming and should be redressed. "The tragedy of lack of preparedness is that the victims will simply be unaccounted for and, therefore, forgotten, without living witnesses from such communities the authorities who, but for their deadly negligence, could have saved many lives will only be too glad to pretend that the tragedy never happened," he said. President Emmerson Mnangagwa has however committed that no effort or resources under his command will be spared to reach the affected and save lives.